Two local community groups will be having a tidy up session this weekend: The Friends of Eaglesfield Park on Saturday and the Mayplace Lane group on Sunday. Both would welcome help. – reducing the pond vegetation. It is urgent we complete as much as possible now to ensure pond creatures are not disturbed in Spring. We can provide full length waders!! – rough-raking the ground and sow wildflower seeds (meadow has now been cut). I think we could achieve our tasks in the allotted time, but we really do need your help. 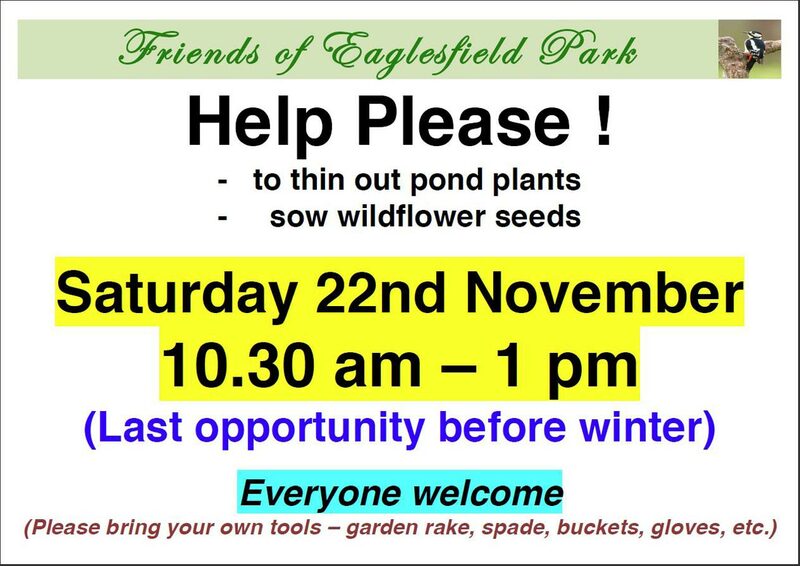 Whatever time you could spare will be much appreciated and will make an enormous difference to the quality of habitat for all local wildlife and greatly enhance visitor enjoyment of this special corner of Eaglesfield Park. I hope you will be able to join us. I’m afraid we do not have any gardening equipment – would it be possible for you to provide your own (e.g. garden rake, spade/fork, secateurs, builders plastic buckets, gardening gloves)? Don’t forget to wear wellies. Of course, weather permitting ! The next Mayplace Lane community clean-up will take place on Sunday, 23rd November between 11.00am and 1.00pm. 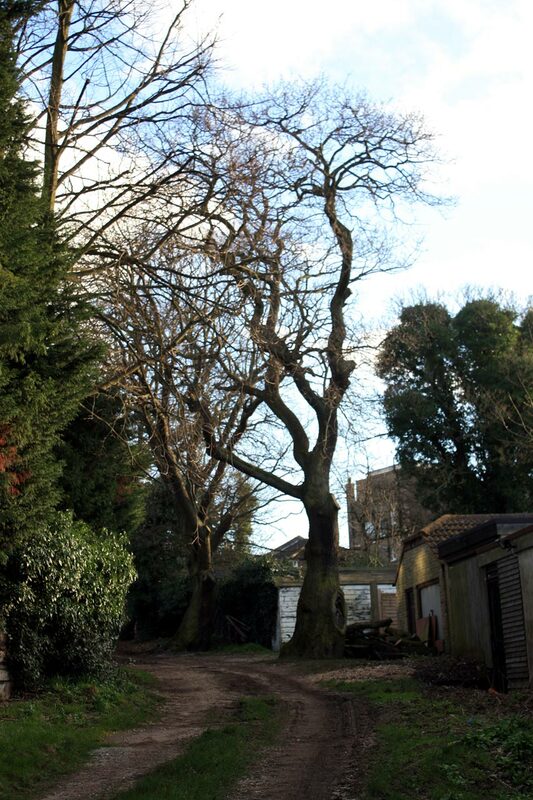 Local residents will be clearing rubbish and removing weeds from the lane and possibly planting plants and bulbs. Greenwich Council will again provide equipment such as litter pickers and bags for rubbish, and will collect any rubbish at the end of the session. If you’re planning to come along then it’s worth bringing some strong gardening gloves. If you have anything stored in the lane you may wish to move it to ensure it is not thrown away.